If you e-filed your return yourself using the IRS’s Free File or Fillable Forms, the IRS’s system does a quick check and tells you immediately that your return has been accepted or rejected. Minor errors, like a mistake in addition or subtraction or a Social Security number typo, can cause them to reject it. If it’s rejected for a simple reason like one of these, you can correct the error and resubmit it right away. You can use a variety of methods in order to determine whether or not your e-filed tax return was successfully received by the IRS. If you used online tax preparation software to file your return, these services will typically provide real-time updates concerning the receipt of your paperwork. If you used a professional tax preparer who is an authorized IRS e-file provider, they should be able to tell you when your return was received and accepted by the IRS. All authorized e-file providers have a direct link to the IRS. Any information they give you on the status of your return should be current and accurate. If you used an online commercial tax preparation service like TaxSlayer, TurboTax or Tax Act, they have automated systems to keep you informed. For example, TurboTax sends you an email that tells you your tax return was submitted and another one shortly after that tells you it’s been accepted or rejected. They also have tools so you can check on the status of your return at any time. You just need to enter a few pieces of information. For example, with TurboTax, you just enter your Social Security number and ZIP code. Regardless of what method you used to e-file your tax return, if you have a refund coming, you can also use one of the IRS’s refund tracking apps to find out if they’ve received your e-filed tax return. Their mobile app is called IRS2Go. Their online app is called Where’s My Refund? They both give three responses: return received, refund approved and refund sent. Does the IRS Accept Federal Tax Returns by Fax or Email? How Can I Get My IRS PIN From Last Year's Taxes? How Long Does it Take to Process Tax Returns? 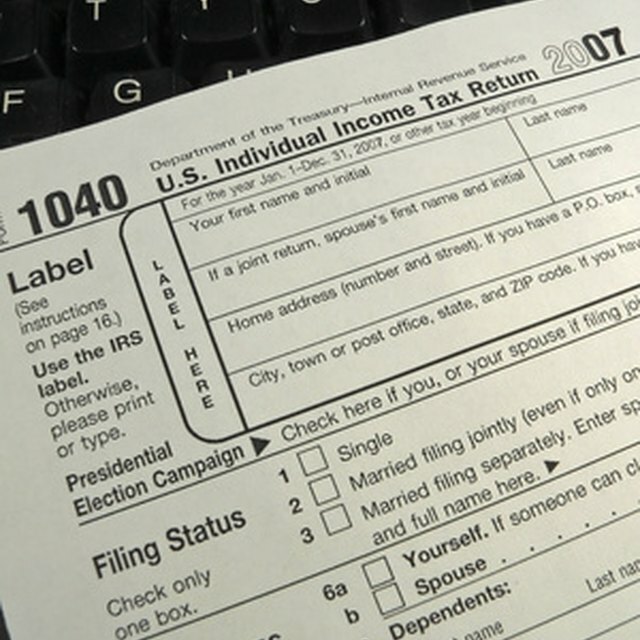 Does the IRS Match Your W2 to Your Tax Return? To get the IRS refund status of your return on these apps, you’ll need your Social Security number, filing status and the exact amount of the refund you’re expecting. The status of your return is usually available within 24 hours after you’ve e-filed, so give it a day or two and then check. Both apps are updated every 24 hours, usually at night. If you’re unable to use one of these apps, you can call the IRS’s refund hotline at 800-829-1954 for an automated response. The status of your e-filed state return is not on the IRS apps. If you used tax preparation software, you should be able to log in to your account and get the status of your state tax return. You can also go to your state’s website to get this information. Many have automated systems like the IRS’s. A few still publish phone numbers for you to call. Returns filed for past tax years can’t be tracked by these methods. These returns usually have to be mailed to the IRS, so there’s no electronic record of them. The quickest way to know that the IRS received your mailed tax return is to send it by certified mail with a return receipt. The return receipt is a postcard that you address to yourself. You get it back with the signature of the person who accepted your return on it. The IRS usually rubber stamps it, but this signature is no less valid. It proves they received your return. Amended returns usually have to be mailed, too. Again, certified mail will give you the quickest confirmation that the IRS received it. They do have an online tool called Where’s My Amended Return? but the IRS recommends waiting three weeks from when you mailed your amended return to start using it. You’ll need your Social Security number, date of birth and ZIP code. The IRS says that your best bet for gauging when you’ll receive your 2018 refund is to go straight to Where’s My Refund? or IRS2Go. You can also use IRS2Go to pay your tax bill. Both apps only have information on refunds for original, current year filings. They do not have information on amended or past years’ filings. The most common reason you’re likely not getting a “return received” response is that you’re checking too soon. The IRS says they’ll acknowledge your e-filed return within 24 hours. However, many tax preparation websites say to give it 48 to 72 hours. Also, the 2018 tax season officially started Jan. 29, 2018. If you filed before that date, you won’t receive an acknowledgment that your return has been received until Jan. 30 or later. If you haven’t yet filed your 2017 tax return, it can still be e-filed. You have until Oct. 15, 2018. The IRS has been strongly promoting e-filing. They stated that the 2017 tax year was the best time for those still filing paper returns to switch to e-filing. Despite earlier hacking threats, e-filing is still the fastest and safest way to file your tax return. The IRS has added more safeguards and the vast majority of e-filed returns are processed with no problems. Tax software that guides you through the process step by step can help you avoid common errors. You can’t inadvertently skip anything and, since the software does all the calculating for you, you can’t make a mathematical error. If you wait longer than 72 hours and the IRS still has not confirmed that it has received your return, you may not have submitted the return successfully. Intuit TurboTax: How Do I Track My State Refund? Intuit TurboTax: When will I get the confirmation email from the IRS? Intuit TurboTax: How Do I File Back Tax Returns? IRS.gov: Where’s My Amended Return? LeDona Withaar has over 20 years’ experience as a securities industry professional and finance manager. She was an auditor for the National Association of Securities Dealers, a compliance manager for UNX, Inc. and a securities compliance specialist at Capital Group. She has an MBA from Simmons College in Boston, Massachusetts and a BA from Mills College in Oakland, California. She has done volunteer work in corporate development for nonprofit organizations such as the Boston Symphony Orchestra. She currently owns and operates her own small business in addition to writing for business and financial publications such as Budgeting the Nest, Zacks and PocketSense.